Innovative Ways Companies Are Using Infographics will share with you examples of the many different ways companies are using data visualization and infographics to communicate data and information. It starts with online infographics and business processes, but then quickly goes into new ways you may not have considered. It will also cover some tips and tools you can use to create your own. 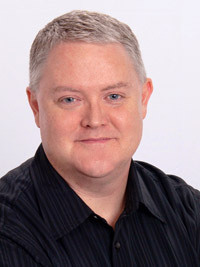 Randy Krum is an infographics and data visualization designer, and the founder and President of InfoNewt, a data visualization and infographics design company. He is the author of the book, Cool Infographics: Effective Communication with Data Visualization and Design and the popular website, coolinfographics.com. He designs infographics for clients used for both online marketing and internal communications. Randy speaks at conferences, universities, corporate events, and government agencies about infographic design, data visualization methods, visual content marketing, and the effective use of visual information. On April 2 Monica Cornetti will speak on "Game the System™ - The Basics of How and Why to Gamify Your Training Programs."